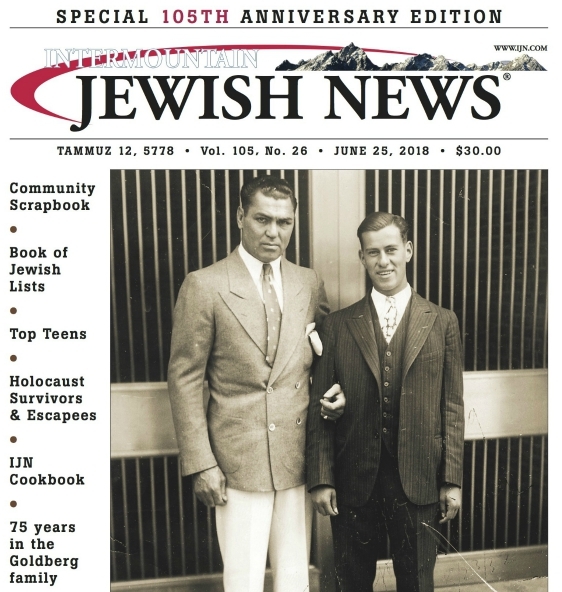 Home Opinion Columns What does it mean to be Jewish? Several years ago, I was asked to speak about being Jewish in America today to a large interfaith audience. It was extremely difficult to try to wrap my head around such a huge subject, let alone do justice to it. Do I talk about Jewish law and tradition? Immigration of Jews from different countries to America and their contri- butions? How Jews differ from their non-Jewish neighbors? The Jewish holidays? Calendar? Hebrew language? Foods we eat? Types of synagogues? Then an idea came to me, born from an uncomfortable memory from my childhood. I grew up in a small town in northern New Jersey which was predominantly non-Jewish. As in, I was one of seven Jews in a graduating high school class of 357. Throughout the years, I would often hear comments like: “That’s funny, you don’t look Jewish!” Frankly, I never knew if that was a compliment or an insult. What does “looking Jewish” mean, anyway? Because in saying someone doesn’t Iook Jewish, it means others are relying on stereotypes of what Jews look like. Was it because I had freckles, a smaller nose and straight hair that I didn’t fit the bill? Being Jewish in America today is not defined or limited by theology, rituals or customs and its certainly not a matter of looks. Rather, it is a rich and diverse tapestry of Jewish life, manifest through values, texts, study, prayer and community involvement on a myriad of levels. Within the broader self-described and self-defined Jewish community, a multiplicity of identities and realities exist. We need look no further than our own families to see how one size doesn’t fit all. Despite the conflicts that arise within the Jewish community over who is a Jew and what is authentic Jewish living, the Jewish landscape has become a vast universe of possibilities so that almost anyone who desires to claim a stake in being Jewish, can find a toehold. • some Jews are born to a Jewish mother but know nothing about Judaism while others choose to convert to Judaism after years of study and training. In America, pluralism extends its canopy to include this type of diversity within the Jewish community. According to the Public Religion Research Institute’s survey on American Jewish values released April, 2012, when asked what is the most important quality of their Jewish identity: 50% said “a commitment to social equality,” 20% said support for Israel and only 17% said religious observance. Being Jewish in America today has evolved from a purely religious way of thinking, being and living into a broader way of life that continues to expand and change over time. What that means for each person will inevitably be different. For some it may mean studying Torah or joining a synagogue. For others it may mean creating a Jewish home with Jewish books, music, foods and traditions. For still others, being Jewish may involve participating in social action programs or working out at the JCC. It is not just a matter of relativity, however, because the foundation of Jewish communal life is still built on Jewish texts, values and historical experience. The beauty is that Judaism has remained a vibrant and relevant institution precisely because it has expanded its dimensions and never stands still.